Toyota Kenya has signed a distribution partnership with Suzuki Motor Corporation to sell Suzuki cars in the country. This makes Toyota the second dealer after CMC Holdings, which has been the exclusive distributor of the Japanese vehicles. Announcing the partnership, Toyota Kenya Managing Director Arvinder Reel stated that partnership is expected to drive Suzuki car sales across the country. “We have continually developed a large network across the country by increasing the number of our showrooms and getting new partners as well. This will ensure that Kenyans from every corner of the country will get an opportunity to own a brand new Suzuki model,” Mr Reel noted. Following the partnership, an initial seven Suzuki models have been put on sale under the ‘Suzuki by Toyota Kenya’ banner. 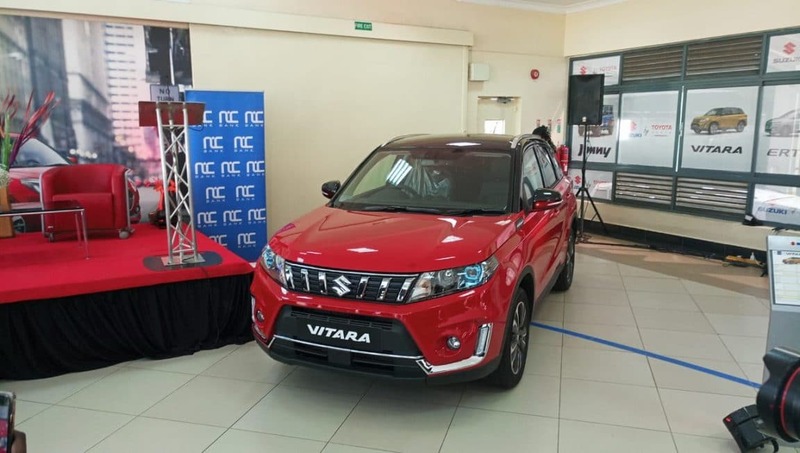 Using a tagline dubbed, “Compact Confidence”, Suzuki by Toyota Kenya will offer the following models: Alto 800CC, Swift 1200CC, Ciaz 1500CC, Jimmy 1500CC and the Vitara 1600CC. The models will range between Ksh800,000 to Ksh3.8 million. Speaking on the introduction of these models, Reel noted that it will be an opportunity to educate Kenyans on the advantages of owning a new car as opposed to a second hand import. In addition announcement, Reel revealed that the company has also partnered with NIC Bank to offer “easy payment terms with affordable monthly installments and financing up to 90 percent of the cost of the vehicle”. NIC Bank’s Executive Director Alan Dodd stated that the bank will offer ultimate support to the customers in ensuring a quick processing of the requests within 1.5 days. The Suzuki models will be first available in the Nairobi showroom but will be rolled out to the other branches after the launch. For Toyota, the signing of this deal with Suzuki marks its latest expansion in the local new vehicle market where it has the second largest market share after Isuzu East Africa.